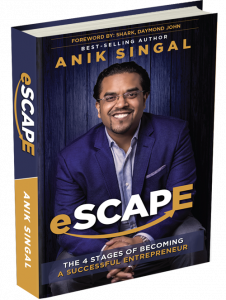 One of the most successful digital entrepreneurs on the planet Anik Singal has just published his new book called eScape, and as a part of the special launch incentive, Anik is giving away his book for FREE, maybe just pay shipping or something. The book is focused on 4 stages of becoming a successful entrepreneur, so we can pretty much assume that the theme of the book is going to be about online business and entrepreneurship. Also, Anik told us that a part of the book is dedicated to his life journey. The journey of an Entrepreneur can be very dark and lonely because there won’t be many people giving heads up, especially from the beginning. But if you will be able to get through, you’ll going to be equipped with the skills that most of the people lack. 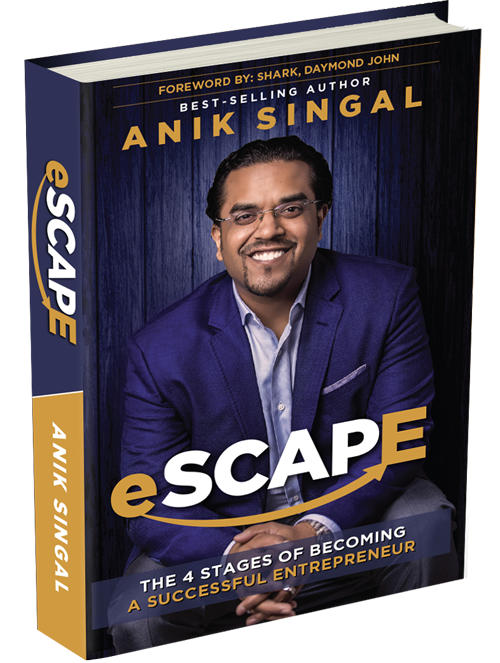 Anik Singal’s book eSCAPE is the perfect companion to have on the journey of becoming an entrepreneur. I don’t know how many times I would have given up if there wasn’t a book, inspirational video, etc. The book eSCAPE is not base don some theory but rather on real facts and info put in action. I believe that eScape: The 4 Stages of Becoming a Successful Entrepreneur is going to be an eye-opening moment for many people. It’s going to open the whole land of possibilities that otherwise thought aren’t there. The powerful moment comes when you realize that the brightness of the future is in everyday things we do. Carefully, step by step building your own secret empire which one day becomes a reality that you’ll be so grateful for. 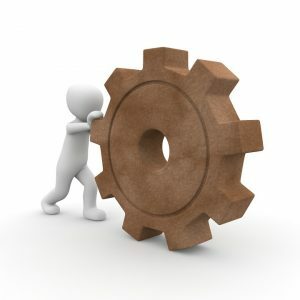 But without that prior consistent action, the step by step process, nothing would have happened.